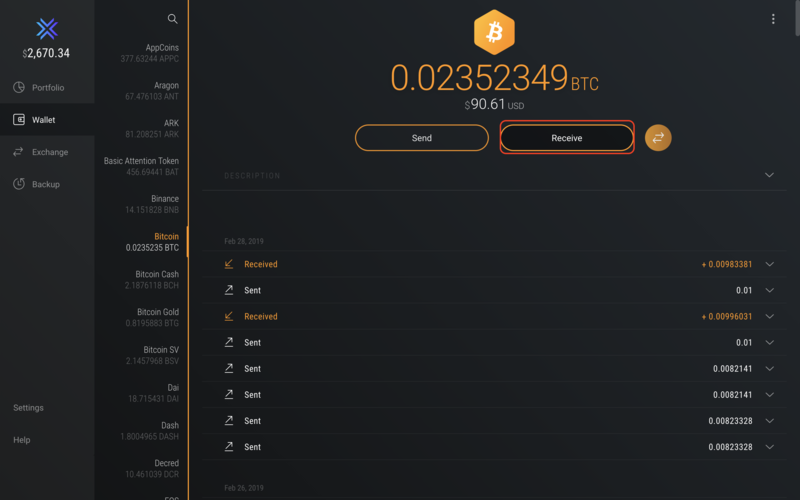 How do I receive cryptocurrency in my wallet (Bitcoin, Ethereum, etc,...) ? It is easy to receive a coin or a token in your Exodus wallet. Just click Wallet on the left sidebar, then choose the blockchain asset you would like to receive. These instructions work for any blockchain asset. In this example, we will receive Bitcoin. Click Bitcoin then click the receive button. Just like traditional bank transfers, receiving blockchain assets works though account numbers. Once you click the receive button Exodus shows your Bitcoin address. Similar to a bank account number, you give this bitcoin address to another person from whom you wish to receive a bitcoin payment. 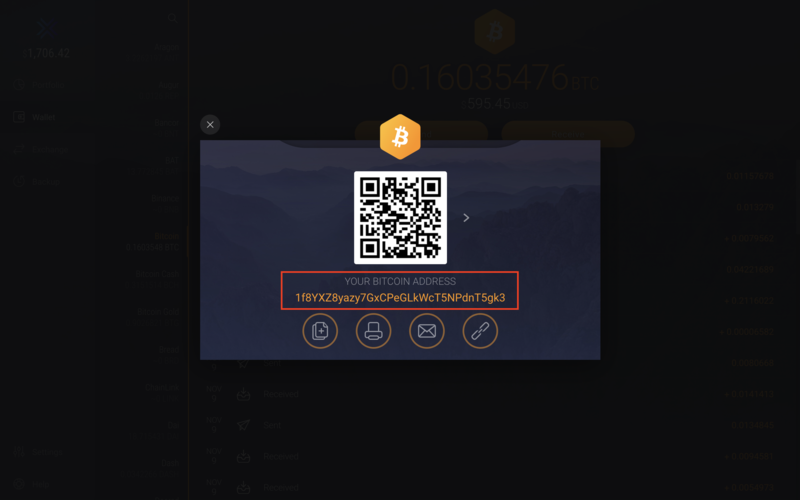 There are four action buttons in this window to copy, print, and email your bitcoin address, as well as view your address on the blockchain. Finally, there is a QR code in this window that contains your bitcoin address. Scan this QR code from a mobile device to send bitcoin between devices without typing long addresses or emailing blockchain addresses to yourself.